Watch our Halloween stream! Creepy Add-Ons abound! Ghosts and ghoulies, zombies and freaks - Halloween is the night that they shudder from the shadows to work mischief upon the living! Our own Twitch channel was possessed by numerous sinister spooklets for a two-hour long livestream, summoned forth by the utterance of such ancient and terrible names as Marc, Jason, Helen and Mike. 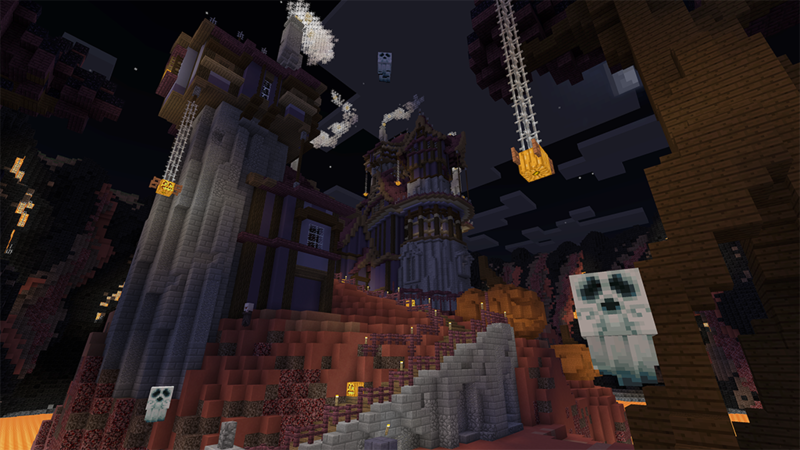 After performing the dark and diabolical rites to get the microphone working, they proceeded to play through a special House of Horrors map, haunted by creepy custom mobs - all made using Add-Ons! Watch the team encounter these ghastly and grim creations on our Twitch channel or download the map and Add-Ons for yourself! Get everything you need right here. Just click the import button in-game (next to Create New World), locate the House of Horrors file, and it should set everything up for you. Spookily simple.